Yogyakarta has many interesting place to visit. One of them is Wates. Since it located in Yogyakarta, it can be waste if you don’t come to visit this interesting city. 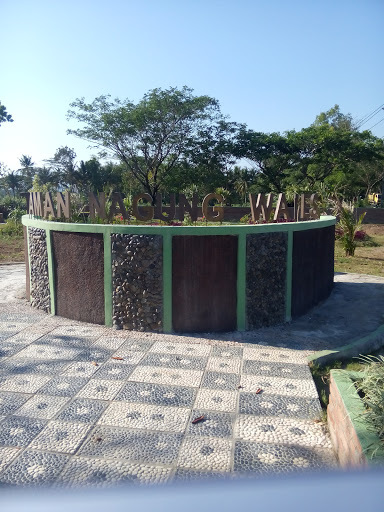 Wates City park is located in Kulon Progo regency og Yogayakarta. 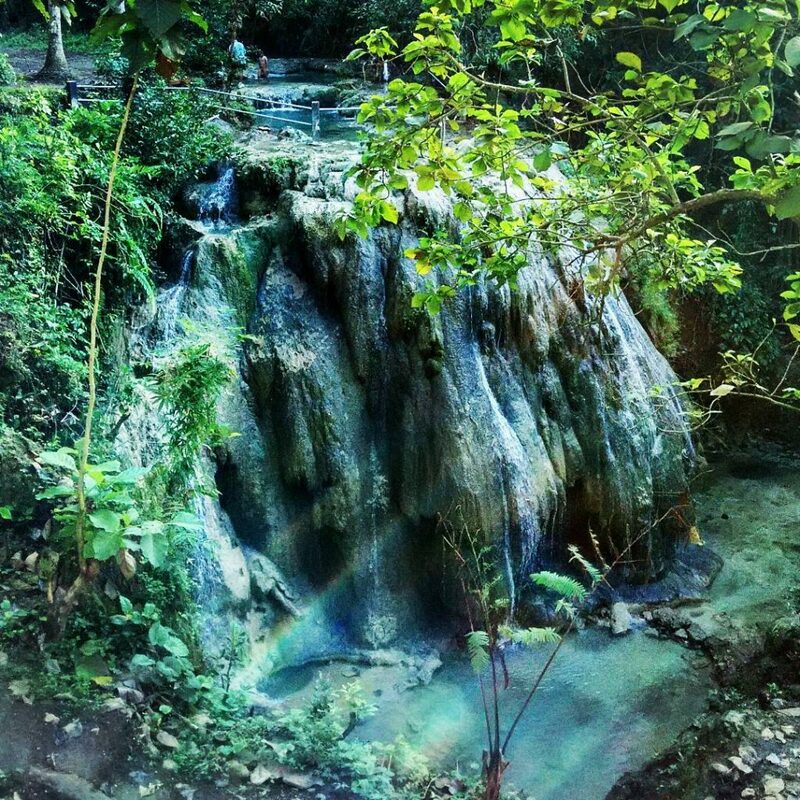 This place is one of the popular destinations amongst the tourist, both domestic and international. This place can be considered as a family tourist attraction. There are wifi and sport centre available for the visitor. Also, there are mushola, angkringan cafee, and also children playground. Tips: bring your own food and beverage, your personal medicine and consider the weather. Next place you can visit while having trip in Wates is Waduk Sermo. 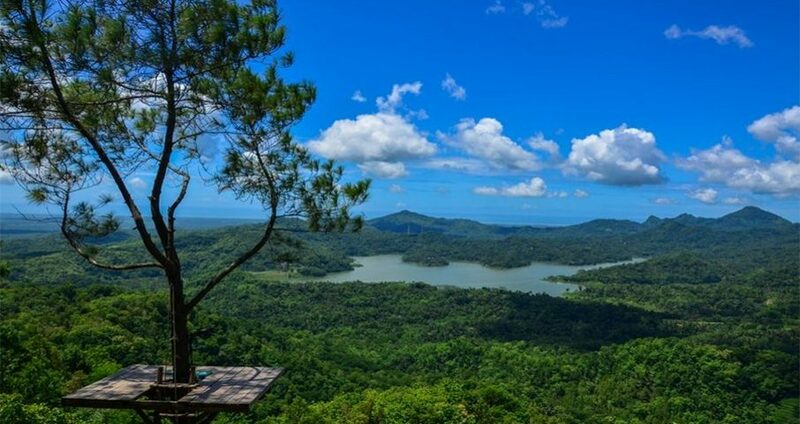 This reservoir is one of the recreation and education attractions in kulon progo. This Reservoir was built to stem Ngrancah River and was inaugurated by President Soeharto in 20th of Novenber 1996. 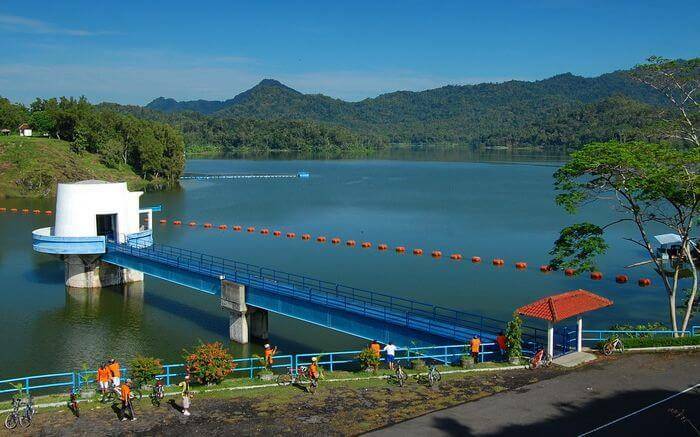 This reservoir is the water source for the Indonesian regional water utility company (PDAM). This reservoir also claimed as the best reservoir in Indonesia based on the large and the water. This place has many facilities to enjoy. Facilities : Villa, restaurant, washroom, mushroom house, house on stilts, fishing facilities, Boat rent. Tips : bring your beverage, use rent transportation, wear comfortable shirt and accessories. This beach not exactly in Wates, but this place located near to the Wates. 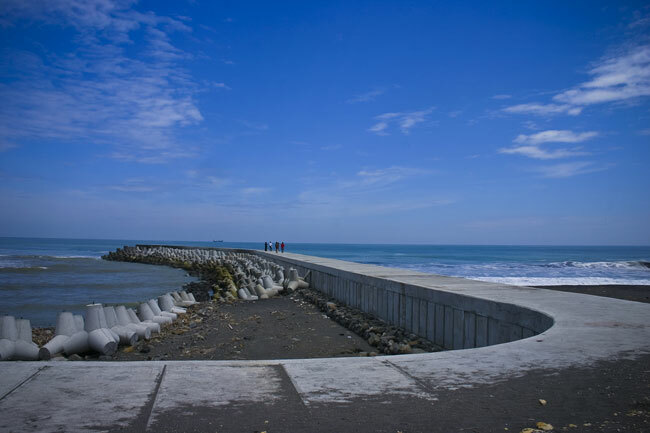 This beach is also known for its lagoon and tetra pod concrete as a wave breaker. 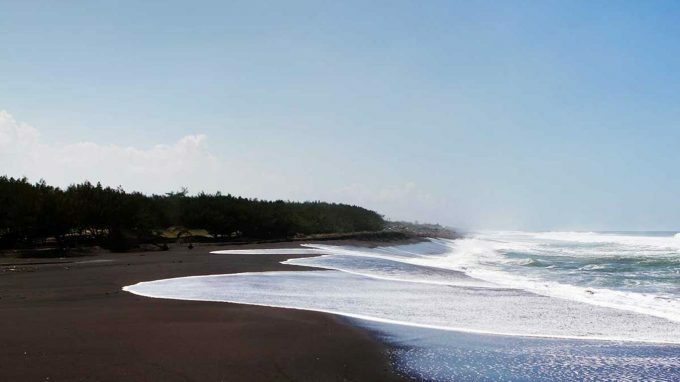 It is a black sands beach but a beautiful place to visit. This place known with the beautiful lagoon and the dramatic wave, you may also come to visit with your family and kids. Facilities: canoe, duck boat, gethek, and motor boat. Tips: come to the beach around 4 pm, you will witness wonderful scenery, take your own toolsand food, don’t throw your garbage, if you can’t find any dustbin, just take it home. Next destination in Wates is Kalibiru National Park , located about 2 kilometers from Sermo Reservoir. This place is known for its beautiful and natural scenery, surrounding by the trees and located about 450 meters above the sea level. It is a beautiful place for the couple, since many young couple come to this hit place. So it is not really recommended for the kids. Tips : make sure your vehicle in the best condition, use comfortable gear, make sure your gadget in a full battery condition. If you love a natural and historical place to visit, this place named Goa Kebun Waterfall can be your destination while visiting Wates. This place is still original, since not many people know this place. Since the place is really new, there also not many building or development over this place. Also make sure that your body is fit enough to visit this place. 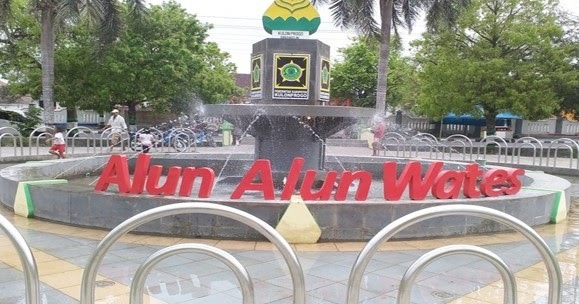 Nagung Park is a city park located in the middle of Wates city. It has many plants and flower with some kids’ arena. One thing that lack from this place is that the place isn’t taken care well. The park seems like abandoned, yet it has a big potential for a tourism destination. 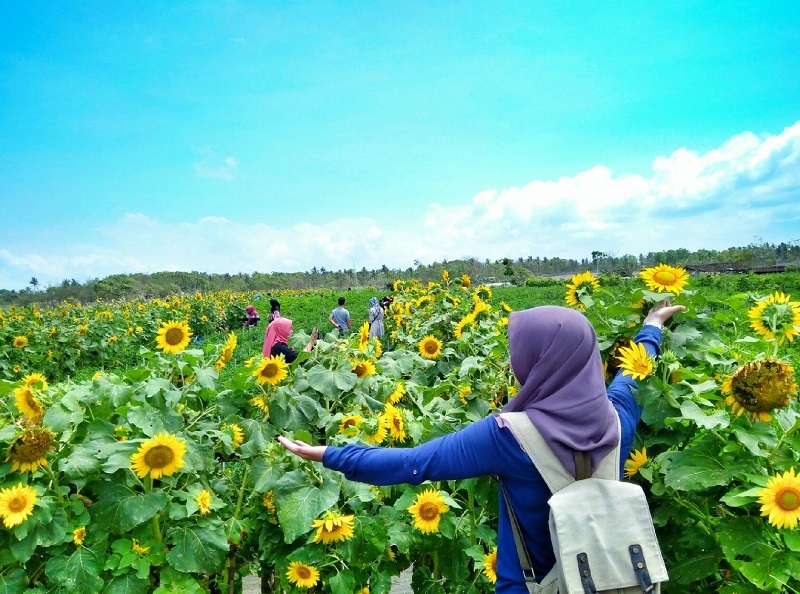 Next destination is a sunflower garden that located in Kulon Progo Regency, Special Redion of Yogyakarta near to Glagah Beach. It is a garden filled with sunflower. This garden originally owned by a woman named Etik Purwanti. It was not a destination at first, but with the beauty of its place, it become viral in the media social and drew many tourists to visit this place. Tips: make sure your camera and smart phone has full battery since it has a wonderful photo spot. 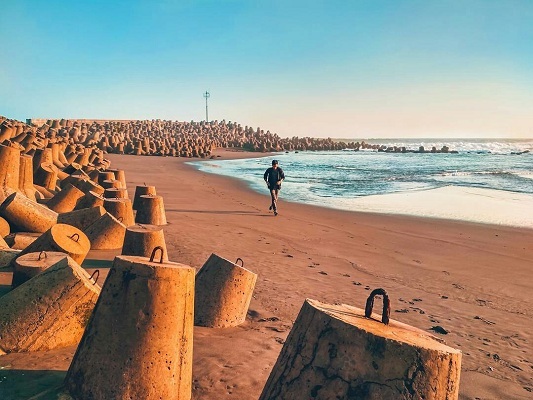 This place is located in the Glagah beach and also known as Adikarta dock. It surrounding by pine tree that also make this place as the perfect place to build a tent and spent the holiday camping. 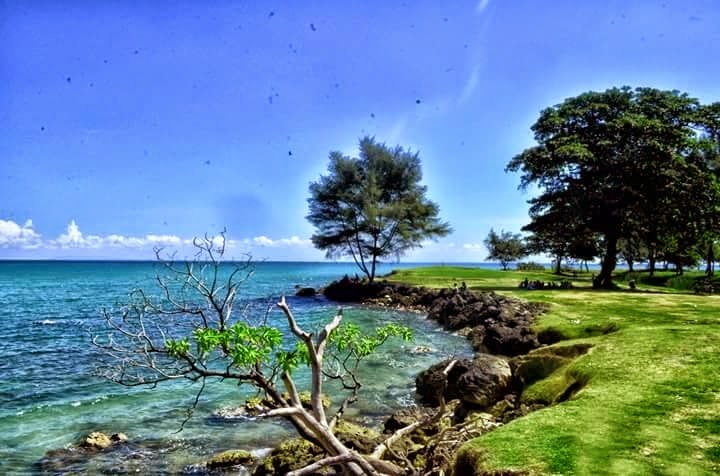 Here is another beach in Kulon Progo you can visit. It has a beautiful sunset to watch and the dramatic wave as well. Last destination we can visit is Bugel beach that located near to Glagah beach. Many people feel that this place kind of a private beach since this place is not really popular among the tourist. Facilities: Toilet, Mushola, warung, parking area. There are also many other place in wates you may visits, such as Wana Tirta Mangrove forest, water Bamboo garden of Sermo Reservoir and many more.